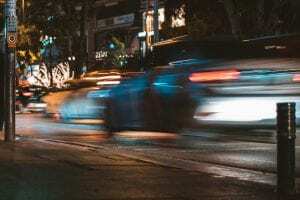 Brighton, NY (April 12, 2019) – Police have released the identities of those involved in a crash that sent one person to the hospital on Thursday morning, April 11th, at the intersection of Route 441 and Linden Avenue. According to authorities, two vehicles were involved in a serious motor vehicle accident around 9:00 a.m. at the aforementioned intersection. 27-year-old Alexander Cohen, of Penfield, had been traveling westbound along Route 441 when another vehicle being operated by 82-year-old Joseph Marino, of Pittsford, attempted to make a left turn onto Linden Avenue. The vehicles collided at the intersection and prompted responses from Brighton Police, as well as with Monroe County Sheriff’s deputies and emergency medical crews. Cohen was reported to have sustained serious injuries and was transported to Strong Memorial Hospital, where he currently remains in guarded condition at this time. Marino has been issued a ticket for failure to proceed with caution at the intersection which has a flashing yellow light. Before moving forward, we would, first and foremost, like to extend our deepest sympathies to Alexander Cohen as we maintain our sincerest hope for his full recovery. Following a New York car accident, it is important to understand that, as a victim of another party, you may have significant rights in terms of compensation for your injuries. At Hach & Rose, our New York accident attorneys have devoted their careers to helping victims as we hold negligent parties liable for the damage that they cause. Our attorneys fully recognize the physical, emotional, and financial burdens that often arise in the aftermath of a sudden accident, and we are here for you 24/7 to answer any questions you may have. If you have been seriously injured in a motor vehicle accident in New York, please do not hesitate to call 212-779-0057 today.